The new Italian government, formed by the Five Stars Movement and the League, also poses a challenge to the Catholic Church. However, it is not only its populist tones that create a division between State and religious powers, in a country where ecclesiastic hierarchies have always had a strong influence in decision making. The current battleground is the nationalist approach to immigration policies, a main pillar of the new government action. 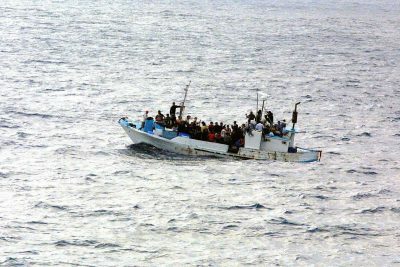 The official line of the Italian church, embodied by Pope Francis, insists on the evangelical duty of receiving people who cross the Mediterranean sea to reach Europe every week. The winners of the 2018 elections push in the opposite direction by pursuing restrictive policies. According to Minister of the Interior Matteo Salvini, the far-right League leader and the de facto prime minister, Italy can not afford to let new migrants enter the country. He claims that there are too many as it is, and that they are changing the country’s traditional way of life. Salvini’s guiding principle is ‘Italians first’. Hence his first acts were to close national ports to NGO boats carrying victims of shipwrecks, and to promise to cut public funds for asylum seekers’ assistance. Italy’s goal is to force its EU partners to accept mandatory quotas of migrants by changing the so-called Dublin Regulation. This position is shared by both government parties because they are widely popular among voters, although the Five Stars Movement is a less compact party than the League and risks a split in the long term. The conflict with the Church on immigration policies can either lead to a difficult compromise, or a political clash, bringing out traditionalist positions within the Catholic world. The Italian Episcopal Conference (CEI) did not give any indication of a vote last March. This has been the case for several years. Since the fall of the Catholic mass party Democrazia Cristiana in 1994, the Church has sought a dialogue with both centre-right and centre-left governments on specific policies. In particular, there was a strong relationship with Silvio Berlusconi’s cabinets on ethical issues like the defence of the ‘traditional family’, and the ‘right to life’. Nevertheless, the Italian bishops did underline their positions in a series of official statements in view of the 2018 general election. The president of the Episcopal Conference, Cardinal Gualtiero Bassetti, stated that Italy must “be pacified” in order to reduce “widespread social resentment” fueled by unemployment and international migration. The latter in particular has monopolised public debate. “Since its foundation” – Cardinal Bassetti stated during the plenary assembly of the Italian bishops, in January, “the Catholic Church has taken care of the poor and the forgotten people in total obedience to the Gospel, because it sees Christ in them”. This is at the heart of Pope Francis’ message, whose first visit outside Rome, in 2013, was to the small island of Lampedusa in the southernmost part of Italy where in the recent past thousands of immigrants have landed from Africa to reach EU countries. According to the Holy Father, welcoming refugees and immigrants escaping wars, violence and poverty is the moral duty of all Christians. And, moreover, “populism is not the solution” to the crisis of our time – a warning addressed to the US President, Donald Trump, but also to his European supporters such as Salvini, who are trying to form a transnational alliance for the 2019 EU elections. The Church claims that it is necessary to build ‘bridges’ and to dialogue with different religions and ethnic groups, while the League and its European and domestic allies evoke the image of ‘walls’ through a strengthening of state and cultural borders. Some claim that the Catholic Church already represents a real opposition to populist leaders across Western countries, for as long as the current papacy lasts. In Italy, hundreds of Catholic parishes are mobilising to provide accommodation and education to new migrants. Several priests spoke out in public against Salvini and his actions, for instance when the new Interior minister suggested a census of the Roma population. It would be a mistake, however, to consider immigration a common political issue. The outcome of the 2018 Italian elections and the subsequent government agreement between the Five Stars Movement and the League relegated the Church’s official line to the political minority. In March, the two government parties accounted for 50,1% of votes: the Five Stars Movement was at 32,7%, the League at 17,4%. Approval has increased after the government led by Giuseppe Conte, an almost unknown professor of law, took office in June 2. According to recent polls, jointly the two political forces are now closer to 60%, and Salvini’s party has reached at least 28% thanks to anti-immigration policies. This should not come as a surprise, because the fear of an ‘invasion’ has grown in recent years, a time when most of Italians citizens felt overlooked by European institutions and hard-hit by austerity policies, which fuelled a new patriotic rhetoric. The left-wing Democratic Party (dropped to 18%) paid the highest political price after being in charge of the Italian government for the last five years. 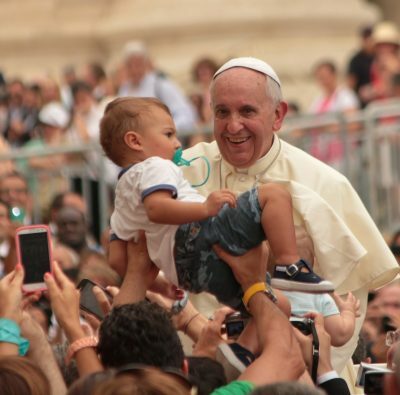 The surprise is that in this scenario the Church’s voice may become “irrelevant” if it does not become louder in the political sphere, according to some prominent ecclesiastics close to the Pope. Immigration is of course not only a problem of numbers. According to official data by the Ministry of Interior, the amount of people arriving to Italy has decreased by about 80% since the beginning of 2018, compared to the same periods in 2016 and 2017. This also led to a fall in arrivals to Europe after the 2015 emergency. Instead, immigration is a problem that plays out in the sphere of identity. Nationalist politicians use religion to strengthen community membership, to evoke an ideal past, and to identify ‘others’ (such as Muslims). Salvini himself is not a practicing Catholic but he recently carried a rosary during some rallies and still campaigns to display crucifixes in all Italian public offices. He claims to be the defender of the Christian tradition and insists that he prefers the conservative Pope Benedict XVI to Pope Francis, as he considers the latter too globalist. The League leader wants to push the more traditionalist elements of the Church into the open, knowing that a relevant share of Catholics voted for his party, as underlined by an Ipsos study. It was not by chance that, having been in office for just a few days, Salvini met Cardinal Raymond Burke, one of the more critical ecclesiastics under the current Pope. What seems certain is that religion has returned to being a major political theme in Europe and it is strengthening the political imaginary of the new nationalist parties – the same parties that are questioning EU solidarity. In Italy, the Church continues to support the Pope’s progressive actions. Instead, the opposite is taking place in a number of Eastern European countries, where religion is a prominent aspect of the rise of nationalism. In Viktor Orban’s Hungary, it is used it to justify the closure of the border. In Catholic Poland, the epicentre of this conservative counter-revolution, the Church is also in close ties to the anti-liberal government. In Poland, religion is instrumentalised as a way of reclaiming the ‘pride’ of a people often defeated by history, and to oppose Islamic immigration, against which the rosary was also brandished. Hungary and Poland are seen as political models by leaders like Salvini. All these are elements to be taken into consideration in view of the 2019 European elections, the first ones after the Brexit referendum. They will be an important turning point for the EU. Alessandro Franzi is a Milan-based journalist who works for Italian news agency ANSA. He writes about politics with particular interest in the Northern League and centre-right parties. He is the co-author of the ebook ‘il Militante’ on Matteo Salvini’s leadership. He holds a bachelor degree in History and he is an MA Political Science candidate at the University of Milan with a thesis on Eurosceptic movements. This entry was posted in Democracy, Europe, Italy, Migration, Nationalism and tagged catholic church, immigration, Italy, Matteo Salvini, Nationalism, Pope, refugee crisis. Bookmark the permalink.